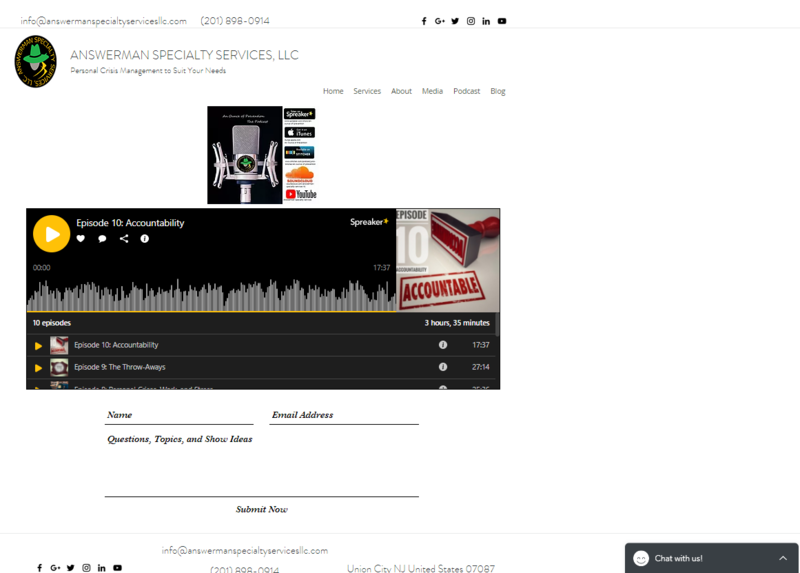 UNION CITY, N.J. - March 13, 2018 - PRLog -- AnswerMan Specialty Services LLC has launched a new site for individuals, families, and organizations looking for solutions for those dealing with Personal Crises such as arrest, divorce, addiction recovery, and senior care options. The site offers information, resources and service options with the use of their blog and the company's podcast "An Ounce of Prevention". "Personal Crisis can affect many aspects of our lives. This can include our relationships, self-esteem and even our ability to maintain or find new employment. At AnswerMan Specialty Services, we understand how this all affects not only our lives but performance in the workplace as well. 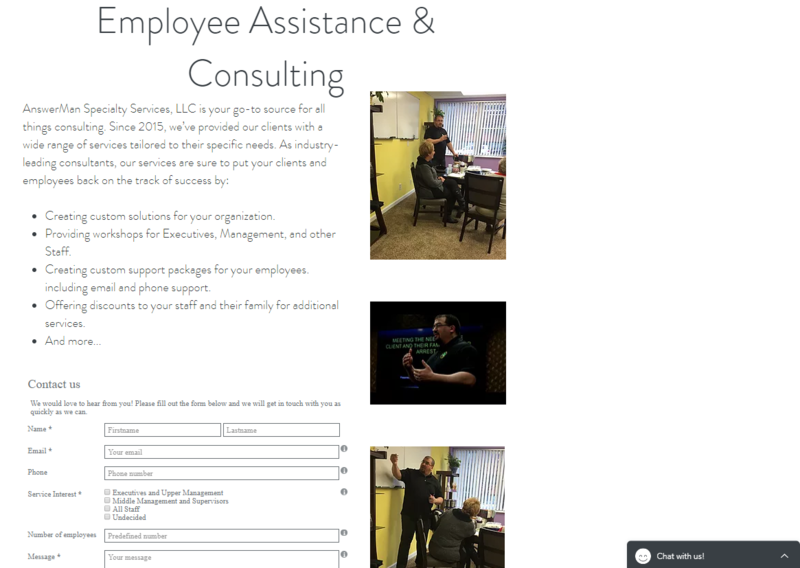 We can provide you or your company with the custom solution through coaching, consulting or workshops and seminars. 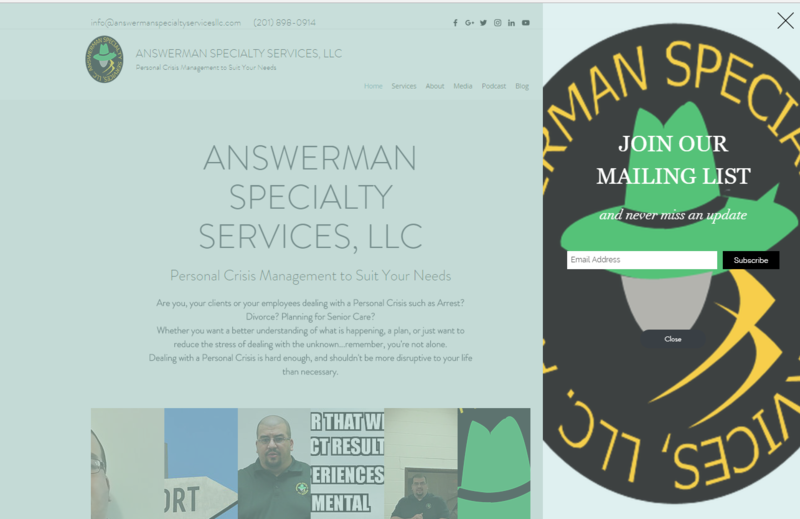 Call us for Personal Crisis Management to Suit Your Needs," said AnswerMan Specialty Services LLC's CEO & Senior Personal Crisis Manager, Julio Briones. In addition to the above-mentioned services, we are also available for motivational speaking. Julio shares his own inspirational story of self-discovery and growth resulting from his own experiences with Personal Crisis. After being arrested and having to spend the next 10 years in prison, he decided that he wasn't just going to rebuild his life, but dedicate himself to helping others going through their own Personal Crisis discover their own growth and potential. One of their most popular workshops "Building Your Personal Crisis Toolbox" was developed as a cornerstone of their program and is also their most requested event. Business owners and non-profit organizations interested in the workshop or in a consultation session can either call 201-898-0914 or get in touch using one of the contact forms provided on the site. 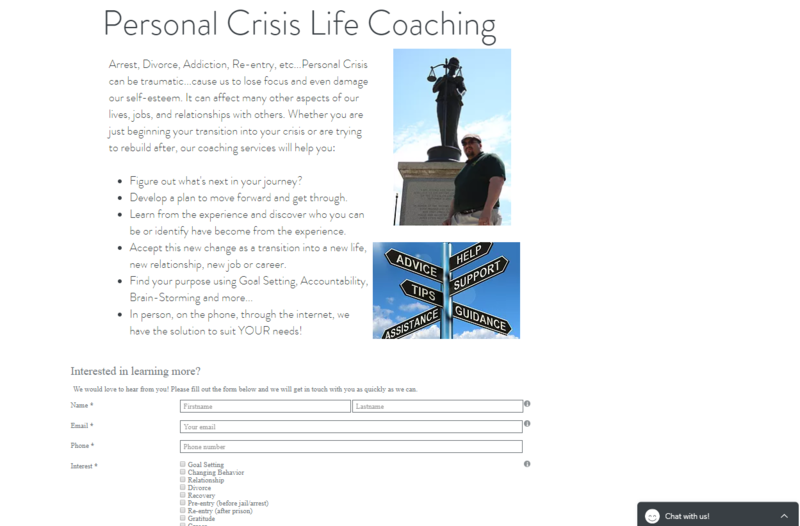 What is Personal Crisis Management?